The City is grappling with high expenditure, a decline in revenue collection, cash flow challenges and poor commitment to meet strategic objectives. This was revealed by acting municipal manager Neli Ngcobo in her foreword to Msunduzi’s 420-page draft integrated development plan (IDP) for 2019/20. This week the City’s leadership and management are scheduled to start their annual izimbizo where communities across Msunduzi will have an opportunity to share their views on the draft IDP and budget, which comes to effect on July 1. The discussions are expected to include tariff hikes, development projects and issues of law enforcement across the city. Ngcobo said an intervention had been developed to address the challenges faced by the municipality, which include a second consecutive negative audit opinion. She said the plan included reviving performance management, implementing internal and external audit recommendations, resuscitating risk management structures and enforcing by-laws. She said a dedicated unit had been established to focus on the enforcement of by-laws, upkeep of street furniture and reporting of illegal dumping. Msunduzi was already in the process of engaging business and civil society on the urban regeneration plan. Mayor Themba Njilo said the leadership was taking full responsibility for the adverse audit opinion that was recently presented by a team from the Auditor-General’s (AG) office. He added that they would be addressing issues raised by AG to restore the confidence of ratepayers. “We feel we have let our ratepayers down and as such, we can no longer continue with this blatant incompetence of our staff,” he said. 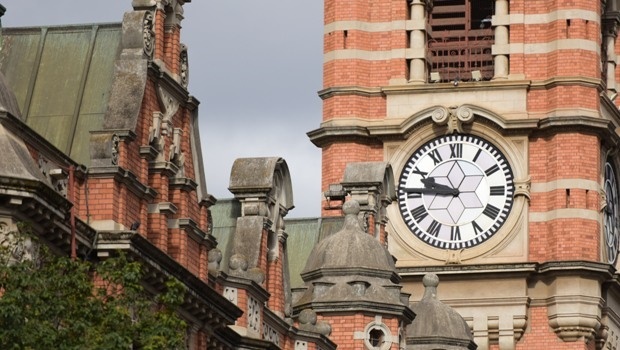 Reflecting on the 2018/19 financial year, he said there were two challenges that posed a serious threat to the municipality’s financial viability and long-term financial sustainability. Those were the escalation of operational expenditure and continued increase in the municipality’s debtors. He said strategies such as cost containment, revenue enhancement as well as the formation of the expenditure committee were implemented. IDP manager Sizwe Zimu said it was anticipated that the adoption of the final 2019/20 IDP and budget would take place next month as deadlines had been brought forward due to the general elections in May.